Broadway Rose veteran performer Sara Catherine Wheatley returns to Oregon to reprise a favorite role. Sara Catherine Wheatley has starred as country singer Patsy Cline in seven different stage productions, spanning over a decade. But she still doesn't have a go-to favorite Cline song. "People always ask me this question, and I always struggle to answer, because they're all fun and really different," the singer told the Regal Courier in a recent interview. 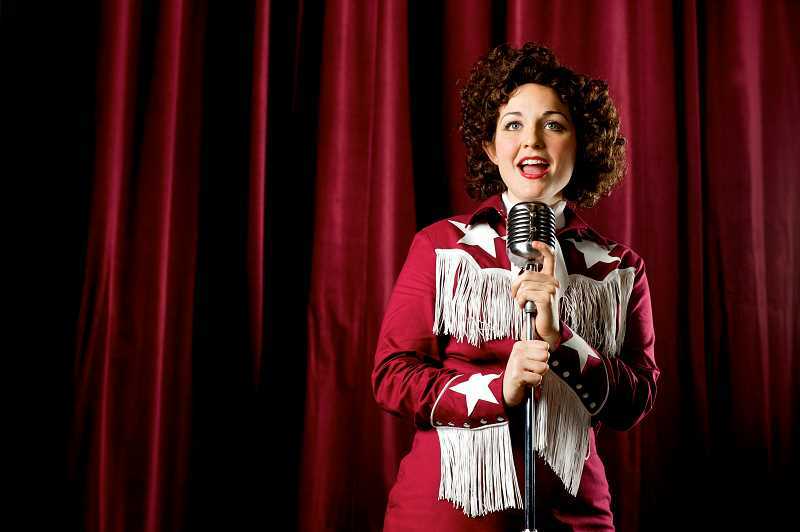 She was talking on the phone from her home in Nashville, but Wheatley lived in the Portland area from 2007 to 2014, and will return in April to grace the stage in Broadway Rose Theatre Company's latest production of "Always… Patsy Cline." Wheatley's arch of playing Patsy Cline began in 2005, when she was a 22-year-old University of Alabama student. Wheatly left her home state of Alabama for Oregon soon after, and took her first role with Broadway Rose during its 2008 production of "Nite Club Confidential." Wheatley soon got another chance to play Patsy Cline, a late '50s/early '60s Nashville singer who was among the first to successfully "cross over" from country into pop music fame, and who died tragically in a plane crash at the age of 30. 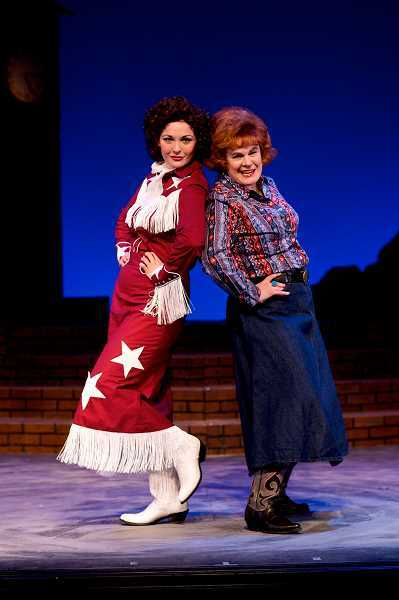 Broadway Rose staged its own production of "Always… Patsy Cline," about Cline's close relationship with a fan-turned-friend, in 2009. "I loved Sara Catherine's versatile voice, but I wondered if she had enough of Patsy's vocal qualities to sing so many of her famous songs," said Sharon Maroney, Broadway Rose's co-founder, in a 2009 interview. Maroney had already signed on to play the role of Louise Seger, Cline's friend. She and fellow co-founder and husband Dan Murphy decided to take a chance on Wheatley. Since then, Wheatley has performed in several different productions as Patsy Cline, including once more for Broadway Rose in 2013. "I grew up listening to this music, being from Alabama," Wheatly said. "I knew that my voice was naturally suited for the music, and that's why returning back to it again and again is really fun, and not easy by any means, but comfortable and natural." Wheatley now is in her mid-30s — several years older than Cline was at the time of her death. As she's grown and had new life experiences, Wheatley said she's found a deeper appreciation for Cline's accomplishments. "At first I didn't really quite understand the kind of magnitude of what she was doing in those days," she said. "She was really the first woman to 'play with the boys' in Nashville. She was one of the guys, and treated as such and respected as such. When I think about it now, in the late '50s and early '60s when she was really big and making records, there just weren't a lot of other women doing that." Wheatley made Nashville her own home in 2014, moving there from Portland with her boyfriend, whom she's still with. After years on the West Coast, Wheatley wanted to be closer to her Alabama-based family — plus, the pair had plans to try their hand at songwriting, and Nashville is a mecca for country and indie songwriters. "That possibility seemed really intriguing at the time," Wheatley said. "We've since figured out that songwriting isn't necessarily our calling, but it is an aspiring place to be as a musician for sure." In fact, moving to Nashville in 2014 felt similar to moving to Portland a decade ago, the actor said. "There's a lot of young people, a lot of people from other places outside the South," she said. "With that brings the spirit of freshness and collaboration, which Nashville is known for anyway." Wheatley took her first full-time job outside of show business a couple years ago, but she still performs here and there, including another turn as Patsy Cline in Hilton Head, S.C., recently. She said she's looking forward to getting "back on the boards" (that's theater talk for "back onstage") with her Broadway Rose team. "Going into this show, I actually haven't done any musical theater at all for two years," she said. "Of all the things to be coming back to, this show seems fitting. It's kind of like coming home — especially doing it in Oregon." "This show is kind of magical," Wheatley added. "People have such a deep connection with her music. And it's a very human story of two women finding each other, lifting each other up and supporting one another. I think everyone can relate to that." Among her favorite parts of the show is the end of the first act, which features a concert-like segment when she sings several Cline classics in a row. The musical also includes the sad country love song "Sweet Dreams," which Wheatley described as "really iconic — the intro to that song is really iconic on the violin, so the audience knows what's coming." "Sweet Dreams" also happens to be Wheatley's favorite Cline tune — at least for now, until the next time she plays the iconic country star.